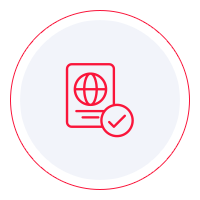 Generally, a citizen of a foreign country who wishes to enter the United States must first obtain a visa. Visitor visas are nonimmigrant visas for persons who want to enter the United States temporarily for business (visa category B-1), for tourism (visa category B-2), or for a combination of both purposes (B-1/B-2). The visa allows a foreign citizen to travel to a U.S. port of entry and request permission of the U.S. immigration inspector to enter the United States. 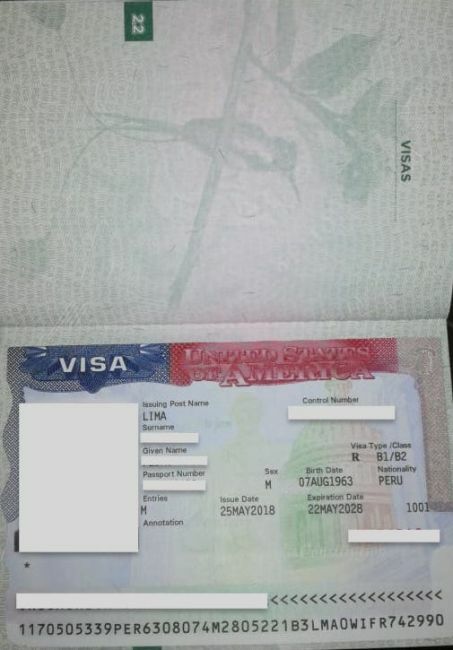 If the purpose of the planned travel is business related, for example, to consult with business associates, attend a scientific, educational, professional or business conference, settle an estate, or negotiate a contract, then a business visitor visa (B-1) would be the appropriate type of visa for the travel. However, there are specific requirements which must be met by applicants to qualify for a visitor visa under U.S. immigration law. The first step to apply for a visa is complete online a non-immigrant visa application (DS-160). During your application, you will be required to make an appointment for an interview at the U.S. Embassy or Consulate where you live. Once you have electronically submitted your DS-160 online application, you will receive the application form confirmation page which you need to bring for your interview on the selected day during the application process. Please, take care to answer all questions on the application accurately and completely; otherwise, you may have to correct your application and reschedule your visa interview appointment. Passport. Your passport must be valid for at least six months beyond your period of stay in the United States. Travel itinerary, if you have already made travel arrangements. Dates of your last five visits or trips to the United States, if you have previously traveled to the United States. You may also be asked for your international travel history for the past five years. Résumé or Curriculum Vitae. You may be required to provide information about your current and previous education and work history. Other Information. Some applicants, depending on the intended purpose of travel, will be asked to provide additional information when completing the online application. An individual on a visitor visa for business purposes (B1) is not permitted to accept employment or work in the United States. The business visa is valid for 10 years. Your stay in the U.S with visitor visa is limited to 180 days per entry. All answers must be in English, using English characters only, except when you are asked to provide your full name in your native alphabet. You are required to bring your confirmation page with your application ID number on it. Bring your passport valid for travel to the United States – Your passport must be valid for at least six months beyond your period of stay in the United States. Each individual who needs a visa must submit a separate application, including any family members listed in your passport. What is the U.S. B1 Business visa? A U.S B1 Business visa is a traditional paper visa that is affixed to a visa page on your passport. It is a temporary, non-immigrant visa, allowing the holder to travel to the United States for business purposes. What do I need to apply for a U.S B1 Business visa? Your Passport. It must be valid for at least six months beyond your period of stay in the United States. Dates of your last five visits or trips to the United States, if you have previously travelled to the United States. You may also be asked for your international travel history for the past five years. How long does it take to process a U.S B1 Business visa? Standard Processing: 14 business days. Super Rush Processing: 10 business days. How long is the U.S. B1 Business visa valid for? The U.S. business visa is valid for 10 years after issue. In addition, it is a multiple entry visa and allows for a maximum stay of 180 days per entry. What is the cost to obtain a U.S. B1 Business visa? What conditions must the applicant’s passport meet for the U.S B1 Business visa? Your passport must be valid for at least six months beyond your period of stay in the United States. This applies to each and every stay within the visa's 10 year validity period. What happens if my B1 Business visa expires while in the US? Even if your visa expires while in the US, you will be fine as long as you leave the US within the 180 days stay per entry limit. What types of business activities are allowed under the B1 Business visa? What is the eligibility criteria to obtain a B1 Business visa? Can I start a business while in the US on a B1 Business visa? And since your business intentions have to be disclosed at the time of application, it may make it difficult to get an approval. We suggest you contact an immigration attorney for guidance if your intention to come to the US on a B1 business visa is to start a new business for alternate visa options. What is the difference between the B1 and B2 visas? The B2 visa is strictly for tourism purposes, while the B1 allows you to engage in certain business activities. Note that both are short term, non-immigrant visas. Can I extend my stay beyond the 180 days limit? If you wish to extend your stay, then you must file a request with the US Citizenship and Immigration Services (USCIS). If my family is traveling with me, can they obtain a dependent visa? No, spouse and children are not eligible to obtain a dependent visa if you hold a B1 Business visa. They must separately apply for a B2 visa.